See, Tyson Gay, that is why we can not have nice things! 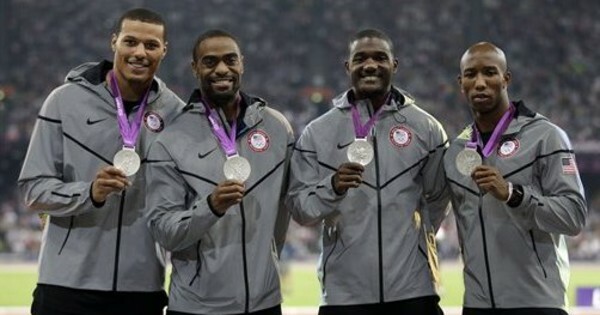 Based on USA Today, the whole U.S. men’s sprint relay team will be stripped of its silver medal from the 2012 Olympics after Tyson Gay’s doping instance. CBS News reminds us that in 2013 Homosexual tested positive for steroids at the U.S. tournaments and received a decreased suspension for working with the U.S. Anti-Doping Agency’s investigation. During that investigation, the USADA established that Gay’s steroid misuse dated all the way back to July 15, 2012 before the London Olympics. After accepting because of this, Gay returned his own medal. And while the standing of his teammates’ medals were considered in limbo, the International Olympic Committee exercised a global clause that says a whole team can be disqualified and stripped of medals due to doping by only one member. The other team members who’ll lose medals due to Gay contain: Trell Kimmons, Justin Gatlin, Ryan Bailey, Jeffrey Demps, and Darvis Patton. It is really a shame and we feel awful for the remaining part of the team.